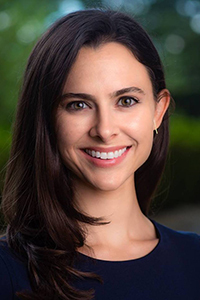 Dr. Mackenzie Brewer received her Ph.D. from Rice University and joined the Baylor faculty in 2018. Her research and teaching interests include medical sociology, children and youth, social stratification, and neighborhood context. She is currently investigating the impact of consumer debt on child and family well-being. Her recent work also examines how community context influences food insecurity among families in the United States. Brewer, Mackenzie, Rachel T. Kimbro, Justin T. Denney, Kristin M. Osiecki, Brady Moffett, and Keila Lopez. 2017. “Does Neighborhood Social and Environmental Context Impact Race/Ethnic Disparities in Childhood Asthma?” Health & Place 44:86-93. View Dr. Brewer's Full Curriculum Vitae.